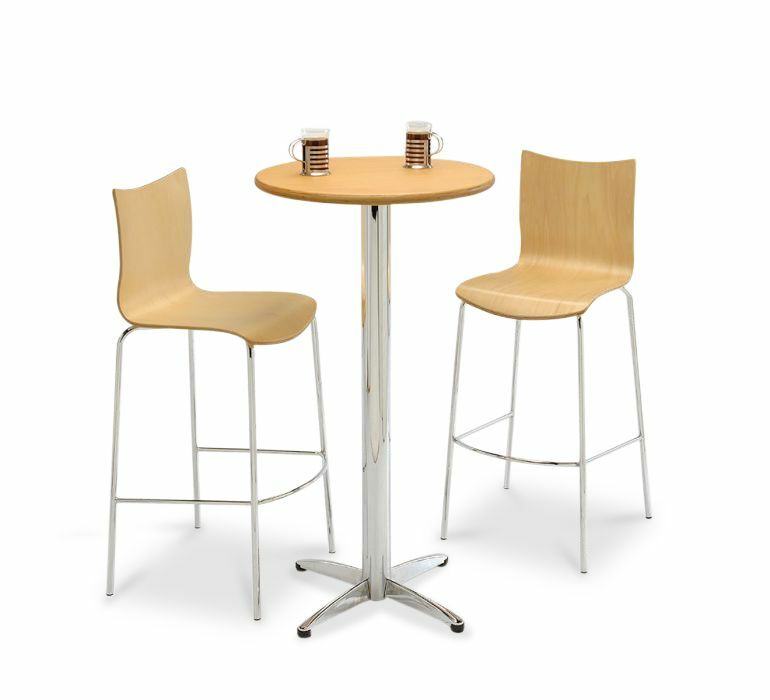 Modern bar high bistro set, great for very busy establishments. The chairs and tables are finished in a Beech veneer for that professional look. Held in stock for a quick delivery service. 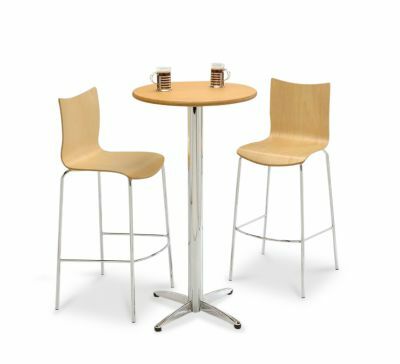 Beech bar stools bistro set available from stock. This bistro set is suitable for commercial use and is delivered flat packed for self assembly. 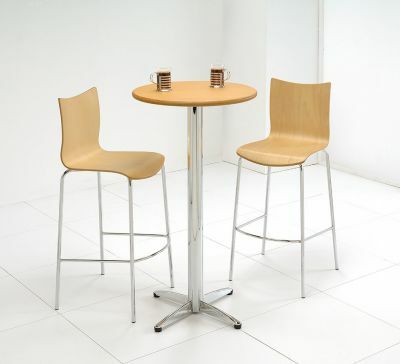 The bar stools have a four leg frame design for extra stability and safety.